In a Holyrood vote, MSPs backed the findings of a report on the sector conducted by the Scottish Parliament’s Rural Economy and Connectivity Committee. The report was commissioned following concern about fish mortality, sea lice infestation and the impact of the industry on wild salmon. The report called for a stricter regulations in order to make the industry, which supports 10,340 jobs in the Highlands and islands, more sustainable. It called for new operations to be located away from wild salmon migratory routes. It also said a more strategic approach should be taken to identify areas that are unsuitable for fish farms and discuss with the industry potential for moving poorly-sited operations. The scope for locating salmon farms offshore should also be examined. In a parliamentary debate, committee convener Edward Mountain said “urgent and meaningful” action was required, saying that reports of 25% fish mortality were unacceptable. 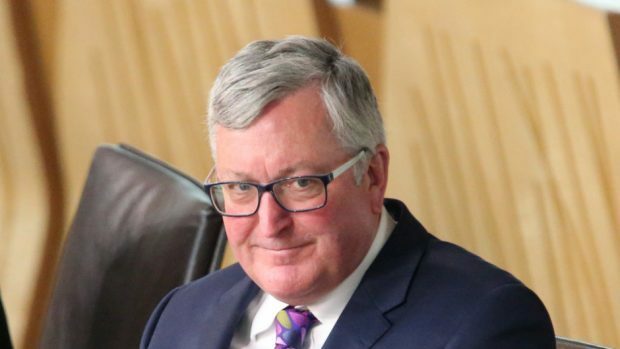 Rural Economy Secretary Fergus Ewing said Scottish fish farming generated £540 million in gross value added to the economy and contributed to wages worth £271m. Mr Ewing said the government recognised concerns about fish mortality and sea lice and added that a review into regulation would deliver a tighter regime.